Kerastase Elixir Ultime is recommended for all hair types. The cosmetic’s action is universal; it takes care of both scalp and the length of strands. It’s a product of versatile application. Each of us will find the hair oil useful! 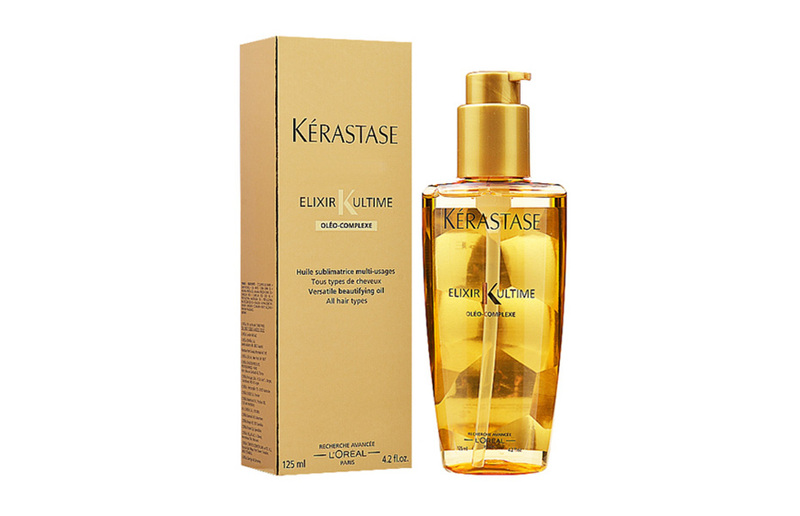 Kerastase Elixir Ultime hair oil will take care of your scalp. It’ll make your strands become more beautiful, more shiny and soft to the touch. The product is composed of four natural oils: argan, corn, camellia and pracaxi. The first one delivers deep nourishment, the second, in turn, protects against harmful agents originating from the external environment. When it comes to pracaxi, this oil reinforces hair and prevents further damages. Camellia oil is responsible for shine. before styling: the product has to be applied to damp strands to make combing way easier and faster. Just two pumps of the oil are enough for the procedure. This amount should enable you to apply the cosmetic to the length of strands and coat hair ends evenly. on already styled hair: Kerastase Elixir Ultime hair oil will gift your hair with natural shine. In order to obtain such an effect, apply the product to the entire length of hair and the hair ends. during everyday styling: the oil will protect hair against harmful influence of external factors. When applied every day, it’s able to smooth and deliver gloss to hair. If you would like to make your hairdo look the very way, apply two or three pumps of the product day after day. You can find Kerastase Elixir Ultime hair oil in many beauty supply stores and hair stores. Moreover, if you carry out a good research, you can also find the product in some prestigious hairdresser salons, which work with Kerastase.